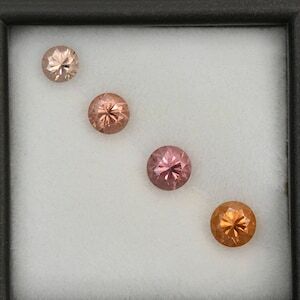 Size: 4.1 to 2.7 mm. 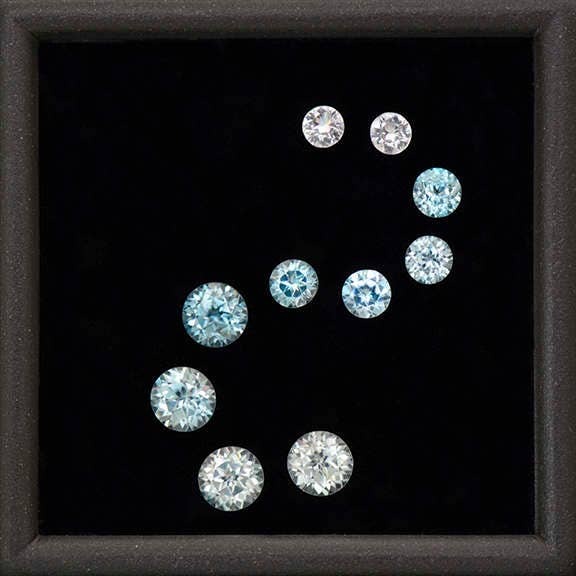 Here is a brilliant set of blue round Zircons for jewelry, whether it is pendant and ring sets or a pendant with all of the stones together, these Zircons are sure to dazzle. Due to its high refractive index and strong dispersion, zircon has great brilliance and intensive fire which makes it a fantastic alternative to Diamonds. 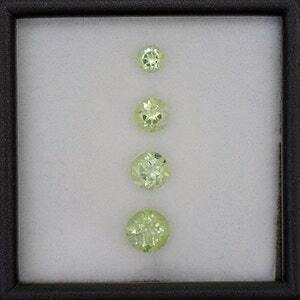 The clarity and light return in these stones are excellent, with tons of glitter and sparkle. These stones are heated from an unattractive brown color to achieve this beautiful light blue. The colors range from ocean blue to ice blue to colorless. The effect of the mixed shades of blue to colorless is just so attractive. I can see all of these stones being set in a flowing curved pendant that will be stunning. Enjoy! 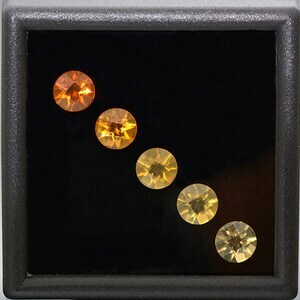 Gorgeous Multi Color Zircon Gemstone Set from Tanzania 2.50 tcw. 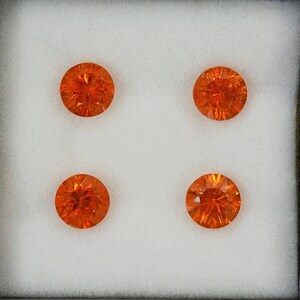 Fiery Orange Concave Spessartine Garnet Gemstone Set from Nigeria 3.62 tcw.